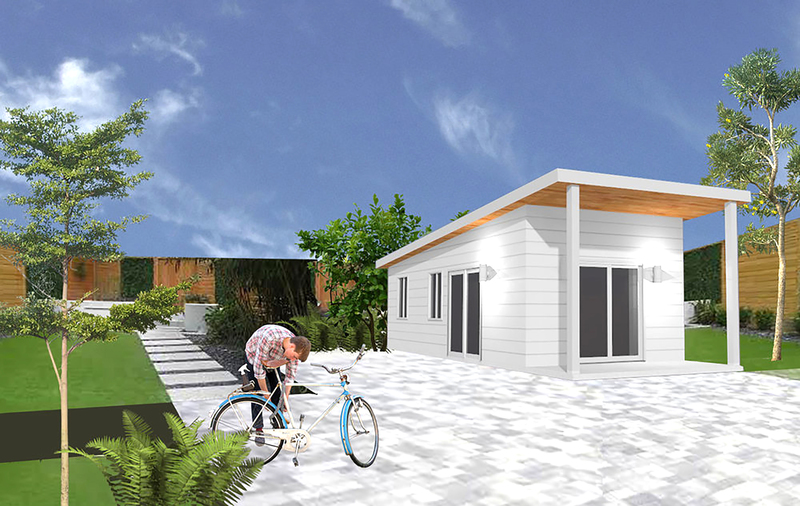 ENCINITAS — As Encinitas continues to unveil the ways that homeowners interested in building granny flats in their backyards can save time and money through the city’s innovative program, members of the public and business community have stepped forward with enthusiasm. 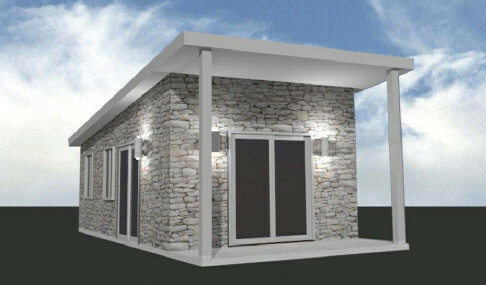 The Permit-Ready Accessory Dwelling Units (PRADU) Program provides Encinitas residents with free, ready-to-use architectural plans for building stand-alone accessory dwelling units — often referred to as granny flats and in-law units — on their properties. 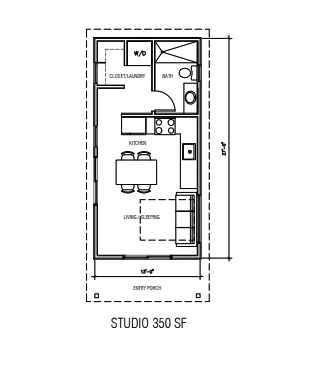 There are eight pre-approved design plans that can be used to build units ranging in size from studios to three-bedroom homes no larger than 1,200 square feet. To further incentivize the construction of these backyard houses, the city has also waived certain permitting fees and promised that building permits for the eight plans will be issued quickly. Interest has been so strong that it was difficult to find parking at the Encinitas Library for the “ADU Open House” held on Jan. 28. Cailin Drakos, chief operating officer of Cross Construction Inc., stood in the library hallway handing out fliers advertising her company’s ability to serve as a “one-stop shop” for building granny flats — from financing to site planning to building and landscaping. Drakos has received many calls about the program and said that people are looking for ways to increase their property value, make rental income and accommodate multiple generations within a family. “For a lot of people, their home is their biggest asset,” Drakos said, noting she wasn’t surprised that residents were seeking to capitalize on the free designs and waived fees. The city hopes the PRADU Program will ease housing pressures by increasing the availability of affordable rentals. After years of non-compliance with state housing laws as they pertain to supply and affordability, Encinitas is now under a court order to implement a housing plan in accordance with California law by April 11. In the meantime, and in anticipation of the additional housing mandates that await, the city is attempting to meet its housing obligations through as many pathways as it can, including the granny flats. Depending on the unit’s size, Encinitas Associate Planner Geoff Plagemann estimates that residents can save $2,000 to $4,000 on permit fees called city development fees and $8,000 to $14,000 on design costs. 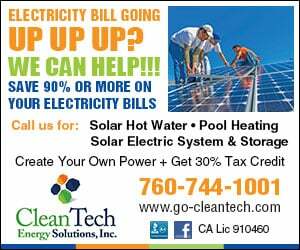 That leads to a total upfront savings of $10,000 to $18,000. The city further estimates that residents will shave off three to six months in planning and design time. Drakos pointed out that not everyone is aware of the costs that could be involved in grading a property with a hillside slope, for example. Each property is different and may be easier or harder to prepare for construction depending on its various conditions, like soils and the availability of sewer and water lines. Overall, though, the architectural design plans provided by Encinitas-based architectural firms Design Path Studio and DZN Partners appear fairly simple to construct. When asked on a scale of one to 10 how hard one of the plans would be to build, a contractor with Cross Construction named Kirk Westerfield estimated it would be a two or three. Joan Woodland walked around the open house, looking at the architectural renderings and asking questions about the program. She said she’s “always interested in real estate” and used to manage vacation rentals. Woodland is contemplating developing a property with her family and wanted to learn more details. Many people who are considering building a small house on their property want to accommodate other generations of family members, Stew Mayer said, such as aging parents or children returning from college who can’t afford the area’s high rents. Mayer, of architecture and construction firm SM-design build, also attended the open house to disseminate information on the services his company can provide for building accessory dwelling units. In 2018, the city permitted close to 60 accessory dwelling units. The mayor hopes that 200 or 300 additional backyard homes will reduce the need to rezone parcels for denser housing developments as Encinitas attempts to fulfill its mandated housing quotas.